St Anton am Arlberg, known by locals as the ‘cradle of Alpine skiing’, is undoubtedly one of the finest ski resorts in the Alps. When combined with the unrelenting après-ski, St Anton becomes a universal favourite. The accommodation on offer varies wildly. 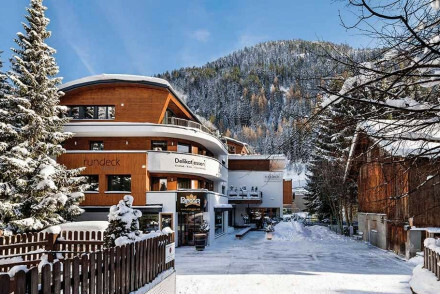 Our selection of the best places to stay in St Anton features a good range from uber luxury to something for the party crowd. With over 440km of descent in the combined ski area (which includes Lech and Zurs, two sections ideal for intermediates, as well as St Christoph am Arlberg and the Stuben sector) it will take even the most fanatical of skiers to explore the whole resort in a week. St Anton provides skiing for everyone - for the novice, St Anton’s exceptional ski school will quickly have them up to speed - for the experts there is tough skiing to be found at Velluga and you will find challenging skiing throughout the resort. Off the pistes, St Anton is an overgrown village with vast entertainment. It is perfect for anyone looking to indulge in some high quality retail therapy. Those with excess energy can enjoy ice-skating or curling at the sports centre while those with a more relaxed attitude can indulge in a hot chocolate at Base Camp. Someone seeking something slightly stronger wouldn’t do badly at the Mooserwirt, or can bounce along to the Krazy Kangaruh. Most Alpine resorts have a marvellous selection of cuisine. St Anton is no exception and goes beyond the standard set by most. For lunch on the piste try the Hotel Arlberghohe before sampling some traditional Tyrolean food at the Museum Restaurant in the evening. St Anton is famous for all night entertainment. Whilst there are enough bars and nightclubs to satisfy even the fussiest of party goers, Piccadillys and Bar Kandahar are the most popular. 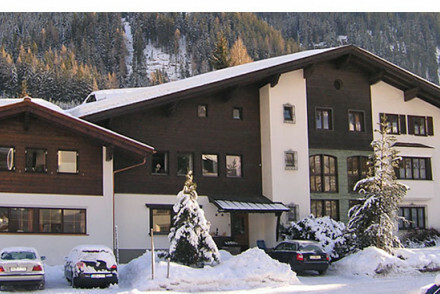 With the resort offering skiing for all abilities the best places to stay in St Anton are recommended here. United in the exceptional quality they offer they are similarly accommodating to all desires. From the unparalleled luxury of the Hotel Tannenhof to the cool contemporary style emanating from Hotel M3, St Anton truly offers something for everyone. It goes without saying, the skiing (or snowboarding). Hike along glorious mountain paths during the summer months. Spend wild nights out exploring St Anton's best Apres ski spots. Feast on indulgent mountain fare. Shop till you drop in the villages high-end outlets. 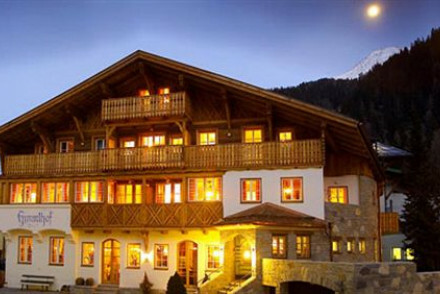 As with any popular ski resort, to be sure of staying in one of the best places to stay in St Anton do make your plans and book early. 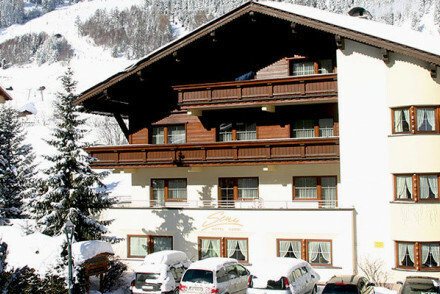 The Hotel Schweiger enjoys a great ski in ski out location. 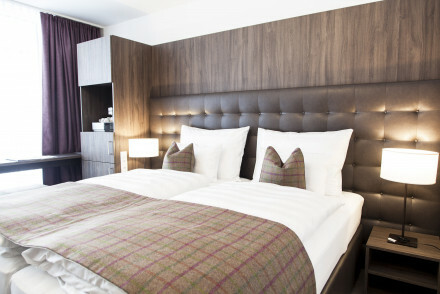 Quietly situated above the village it's well-priced with contemporary but cosy rooms, suites and an apartment for five. Looking for spacious home comforts and excellent facilities for young families? 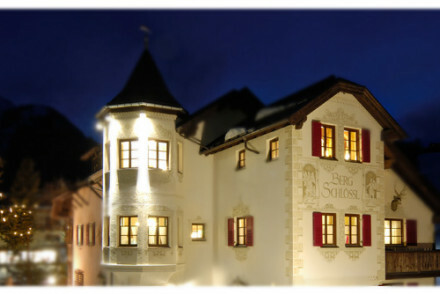 Hotel Bergschlossl is less than a stone’s throw from the lifts and right next to the ski school. 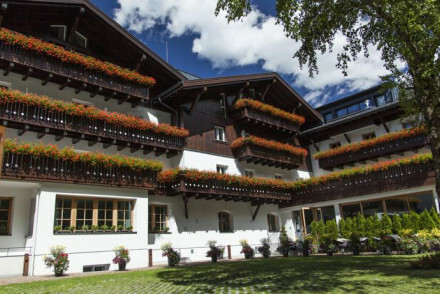 Hotel Reselhof is a historic lodge well located close to the Nasserein Gondola. A sensitive restoration throughout sees interiors mixing traditional charm with contemporary style. Hotel Gletscherblick is a pretty chalet. Guestrooms and apartments are traditionally decorated with pine walls, armchairs, modern bathrooms and balconies. Apartments have full kitchen and living spaces. A pretty family-run chalet. Hotel Garni Europa has large rooms with pine wood furniture and details, modern bathrooms and beamed ceilings. Spa treatments available, sauna and cosy library. Centrally located to pedestrian area and ski lifts. 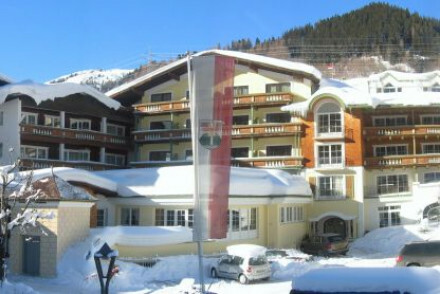 If you and the family want to ski like demons and sleep like logs then Hotel Brunnenhof is the ideal place for you. Situated slightly outside St Anton, the frequent shuttle will ensure you are in the thick of things when you want to be and under a thick duvet at night. Hotel Post is a more traditional Antonine destination. It has been serving guests forever, but it’s unpretentious and let’s you get on with enjoying your company. Right next to the lifts too. Hotel Montana is a family-friendly chalet hotel with spacious rooms featuring pine furniture, modern bathrooms and seating areas. Himmlhof is a family friendly chalet. Rooms are decorated in contemporary Alpine style with pine wood furniture, beamed ceilings and modern bathrooms. Spa, sauna and large terrace to enjoy the view. A lovely chalet with apartment. Hotel Senn's rooms feature wooden wall panelling, lace details and some rooms with balconies. The apartment has a kitchen and living area. There's a sauna and sun deck and is centrally located. Splendid choice for a family ski trip. Hotel Pete is a chic chalet in central town. Large room interiors feature birch wood panelling, contemporary furniture and grey stone bathrooms. Spa and saunas, decked sun balcony. Anthony's is an all-singing, all dancing slick new hotel in the very heart of the village. Dating back centuries, and owned by the same family since 1885, the Schwarzer Adler provides traditional, comfortable accommodation bang in the centre of St Anton. The modern Hotel Rundeck offers contemporary rooms with dark wooden furniture, floor-to-ceiling windows, modern bathrooms and leather touches. 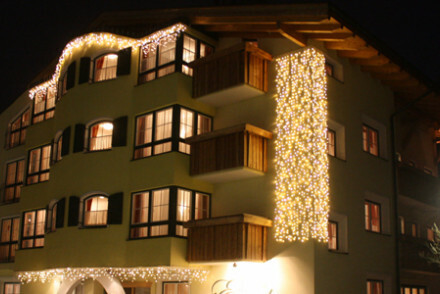 Skihotel Galzig is a stylish, modern hotel on the slopes of the resort. Rooms are spacious and comfortable with balconies facing onto the slopes. Raffl's is a contemporary chalet hotel. Interiors feature wooden floors, modern fireplaces, leather furniture and big bathrooms. Find every whim catered for in the ultra luxurious 5 star Hotel Tannenhof. 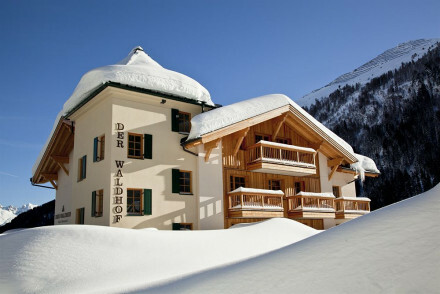 Der Waldhof is a quiet owner-run chalet. Modern and spacious rooms feature pine beamed ceiling, large French windows and armchairs. Sun terrace, spa, sauna and games for your pleasure. 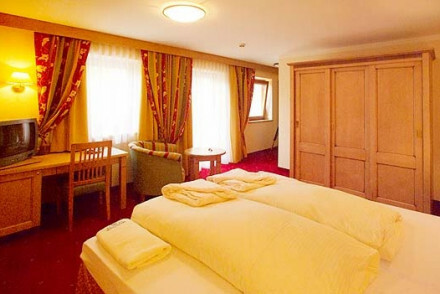 Hotel Brunnenhof is a quiet traditional, family run hotel housed in a 300 year old building. Hotel Bergschlossl is a comfortable typically Tyrolean hotel efficiently run by a knowledgeable local husband and wife team. The minimalist rooms at Valluga Hotel have a distinctly alpine feel, pine walls and beautiful views out over the mountains. With a deluxe spa and a cosy restaurant, it's the perfect refuge after a day on the slopes or trekking in the mountains. When it comes to nightlife St Anton doesn’t disappoint. These next hotels are the best places to stay in St Anton for those whose heads are more likely to be banging to a club beat than resting on a pillow come the witching hour. Anthony’s is right in the heart of St Anton’s thriving pedestrianized centre. Modern but comfortable this is the place for the hip young crowd. 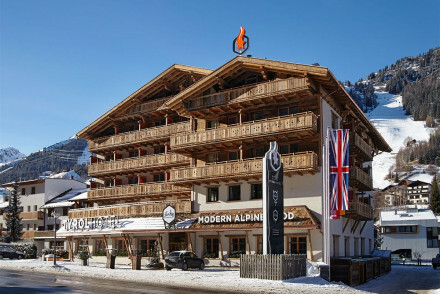 Hotel Schwarzer Adler combines the tradition of St Anton with a position ideal for the bars and nightclubs, especially Bar Cuba, which dominate St Anton’s nightlife. St Anton is less than one hour by road from Innsbruck airport, one hour and 30 minutes from Friedrichshafen airport and about two hours by road (or around three hours by rail) from Zurich airport. For skiing travel between December and beginning of April. For hiking plan your trip in the summer months June - August. 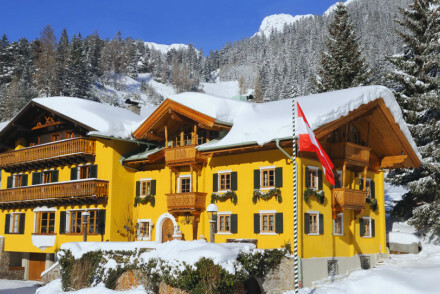 Browse through our list of the best places to stay in St Anton. Expand your search to include our recommendations in Les Trois Vallees, Val d’Isere, Verbier and Zermatt. Or feel free to call or email a friendly guru for advice. Country Escape - A wonderfully tranquil base to return to after spending a day in the mountains. Sights nearby - Make a trip to the epic Schnann Gorge for some swesome views. Family-friendly chalet hotel. Spacious rooms offer pine furniture, modern bathrooms and seating areas. Sauna and spa treatments available. Good Tyrolean cuisine in the restaurant, welcoming bar. Excellent value. Family friendly chalet. Rooms are decorated in contemporary Alpine style, with pine wood furniture, beamed ceilings and modern bathrooms. Spa, sauna and large terrace to enjoy the view. Cosy and at great value. Chic chalet in central town. Large room interiors feature birch wood panelling, contemporary furniture and grey stone bathrooms. Spa and saunas, decked sun balcony. Excellent Austrian cuisine in cafe bar. 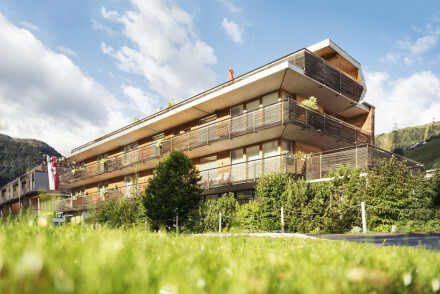 A lovely, modern chalet hotel. Family-run chalet. Contemporary rooms have dark wood furniture, floor-to-ceiling windows, modern bathrooms and leather touches. Apartments have kitchen and large living space. Spa, saunas, gym and games room; child's playground in the garden. Simple, quiet and lovely. All-singing, all dancing slick new hotel in the very heart of the village. Eat, drink and be merry. Child friendly - Children up to 8 years old stay in their parents' bedroom free. Lovely chalet with apartment. Rooms feature wooden wall panelling, lace details and some with balconies; apartment hosts kitchen and living area. Sauna and sun deck, centrally located. Splendid choice for family ski trip. 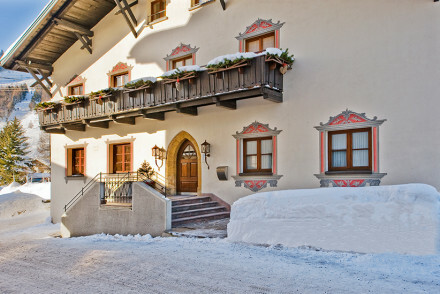 Dating back centuries, and owned by the same family since 1885, the Schwarzer Adler provides traditional, comfortable accommodation bang in the centre of St Anton. Close to all lifts and superbly located for the buzzing nightlife. Spa - Ayurvedic treatments available. Pretty chalet. Guestrooms and apartments are traditionally decorated with pine walls, armchairs, modern bathrooms and balconies. Apartments have full kitchen and living spaces. Spa and sauna. Locally sourced gourmet menus, full wine cellar. 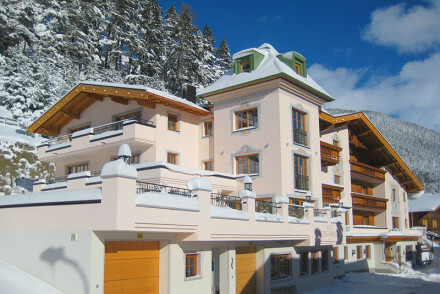 Ideal for groups and close to ski lifts. Pretty family-run chalet. Large rooms have pine wood furniture and details, modern bathrooms, beamed ceilings. Spa treatments available, sauna and cosy library. Centrally located to pedestrian area and ski lifts. A charming stay. Comfortable, warm, reliable hotel; well practised in giving skiers what they want and need from their holiday accommodation. 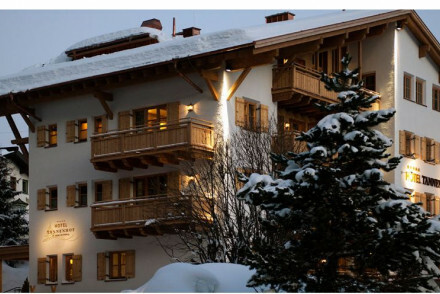 Opened in 2013, the Hotel Schweiger enjoys a great ski in ski out location, quietly situated above the village. Well-priced with contemporary but cosy rooms, suites and an apartment for five. Generous afternoon tea in the sunny 'Lichtbrick' breakfast room with panoramic views. Contemporary hotel run by a local family of top skiers who also have a ski shop full of temptations nearby. Skiing - Nearest ski lift is next door. A comfortable typically Tyrolean hotel efficiently run by a knowledgeable local husband and wife team. Child friendly - Children up to age 3 stay for free in their parents' room. 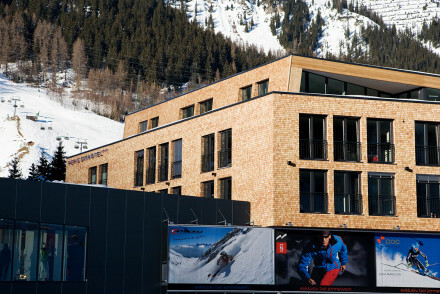 Contemporary hotel at the heart of the pedestrianised area of St Anton with street level cafe, restaurant and rooftop Sky Lounge. Quiet B&B close to cable car. Room interiors have wooden furniture, carpeted floors, mountain views and modern bathrooms. Indoor pool, sauna and spa treatments. Quiet, grown up and good value. 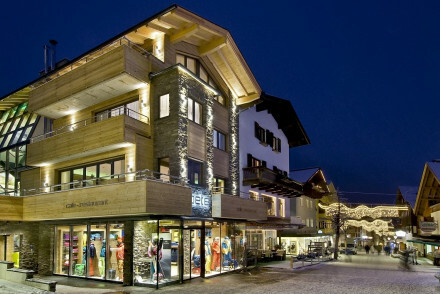 An excellent hotel in the ski resort town of St. Anton. The minimalist rooms have a distinctly alpine feel, with pine walls and beautiful views out over the mountains. With a deluxe spa and a cosy restaurant, it's the perfect refuge after a day on the slopes or trekking in the mountains. Families - An ideal family skiing holiday, with babysitting services, family rooms, ski school and plenty of games and books. 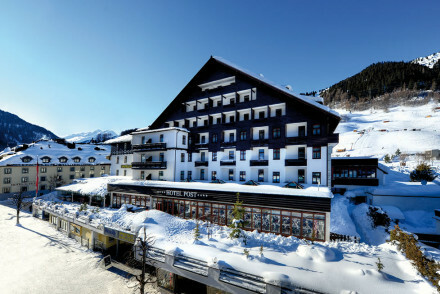 Stylish, modern hotel on the slopes of the St Anton ski resort. Rooms are spacious and comfortable with balconies facing onto the slopes. With superb skiing and hiking on the doorstep, it's ideal for an active getaway. Active Holiday - The perfect mountain escape for those keen on skiing, trekking and mountain climbing. Quiet owner-run chalet. Modern and spacious rooms feature pine beamed ceiling, large French windows and armchairs. Sun terrace, spa, sauna and games for your pleasure. Splendid Austrian menu, especially gluten free dishes. Peaceful, warm and welcoming. Contemporary chalet hotel. Interiors feature wooden floors, modern fireplaces, leather furniture and big bathrooms. Spa, sauna, indoor pool and decked terraces. Excellent Austrian and international cuisine; buzzy bar and club lounge. A welcome update on the luxury ski chalet, with service to match.